Ocala is home to not a few beautiful, vibrant neighborhoods, and Showcase is proud to have a sales record that reflects this variety. We’ve put together a list of last year’s top-selling neighborhoods, along with their average price points and units sold so you can see exactly what’s what in the Marion County housing market. 2015 was the year of the 55+ communities, with seven of our top-selling neighborhoods designated as such. It’s clear that Florida remains the place to retire and enjoy a life of leisure in style! Read on for a closer look at the top five best-selling communities. Last of the top five but certainly not least, is On Top Of the World. This 55+ community in south-central Marion County is well-known for its active lifestyle. It’s comprised of several distinct and individual neighborhoods, each with its own community center. 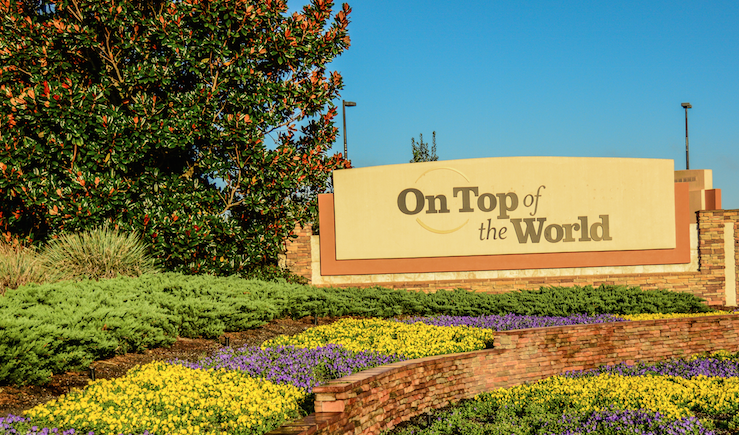 On Top of the World offers a wide variety of social clubs and organizations and its featured activities include fitness classes, swimming, tennis, concerts, and of course, golf. Showcase sold 297 units from On Top of the World last year, at an average price point of $78,246. Coming in fourth is the 55+ community of Oak Run. Located in southeast Marion County, Oak Run is a beautiful neighborhood focused on active living. It features a golf club and course; community dances, bingo, and other events; and several swimming pools, one of which is indoors. 298 units were sold last year, and the average price point was $104,825. This south Marion County neighborhood is second in our rankings with 329 units sold in 2015 and an average price point of $87,062. It features close proximity to I-75 and is bordered by Ross Prairie State forest. It also includes Huntington Golf Club within its limits. Spruce Creek is a close third in our top-selling Ocala neighborhoods behind Marion Oaks, with 304 units sold. Its average price point last year was $157,523. Located in southwest Marion County, Spruce Creek is a vibrant 55+ community that offers a wealth of activities for its residents including golf, swimming, social clubs, and fitness classes. It is also close to the city of Dunnellon and the Withlacoochee and Rainbow Rivers. If you’re looking to buy or sell in a specific neighborhood in the Ocala, Florida area, reach out to Showcase Properties of Central Florida. We’re your local real estate experts. Look out for our next blog about “Equestrian Neighborhoods”.